We will be meeting at 9am on the 23rd ready for our Summer Camp! If in doubt-bring it with you! Easier to take kit home not used than to try and find it. Make sure you get lots of sleep- this week is filled to the brim with activities…I can’t wait! Hopefully we will see you tomorrow for our Parents Day! We have arrived safe and sound! Easy journey up, set up the fastest I have seen in years! 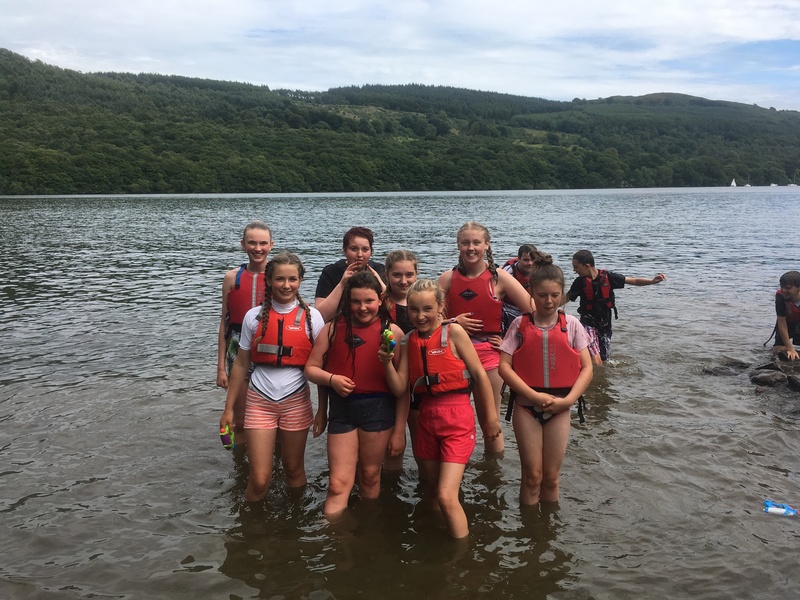 A great set of kids this year I can’t wait!We are currently having a cool down in the lake and a water fight, before going back to camp to make a tea of curry! Geoff has got a new toy – so here is us setting up from above! Thankyou so much for everyone who made it up today.. The scouts had a great time and are all worn out! 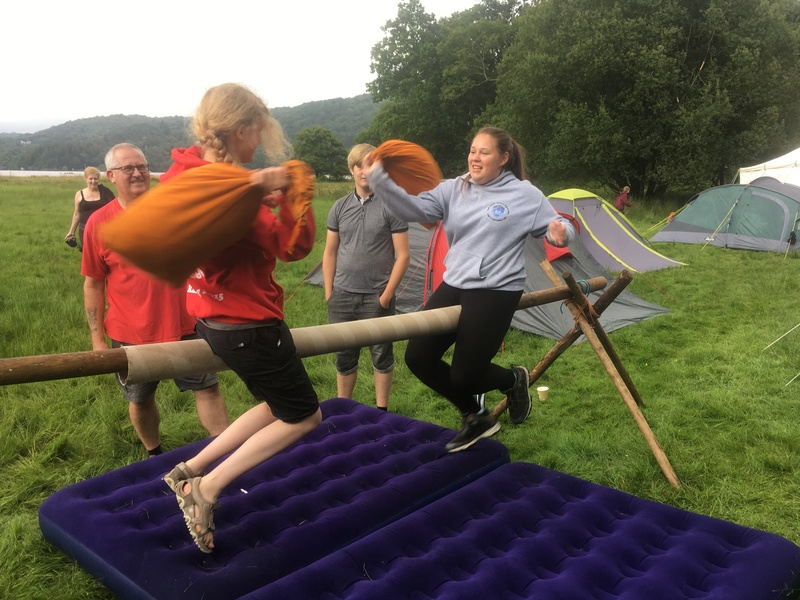 For those who didn’t manage it, we had multiple activities including a bucking bronco, jousting horse, bike course and a fire pit (Thankyou Cub leaders), followed by all the water activities. I think a great day was had by all. 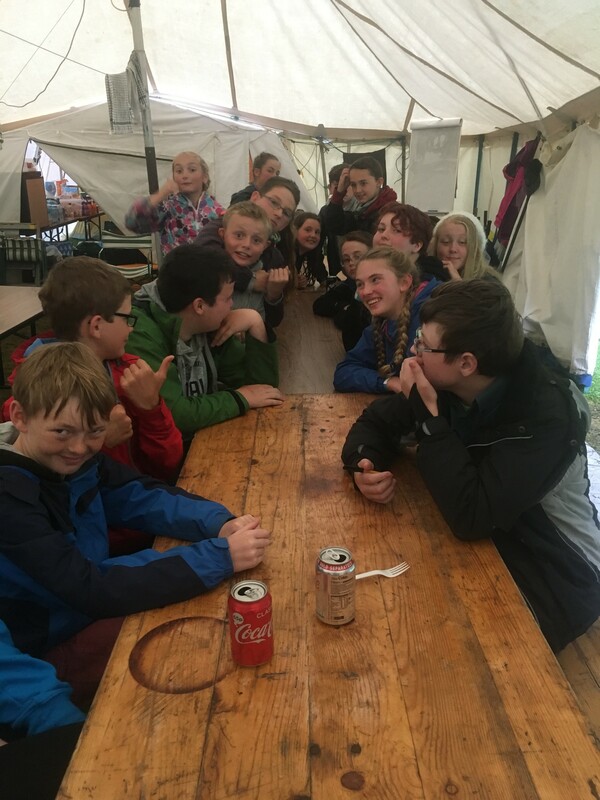 We have just had our tea of a BBQ, We are about to have a nice walk up high dam, before campfire and bed ready for our activities tomorrow. Anna, great to meet you today- we will get you on the waiting list ASAP!! Us with our new banner! 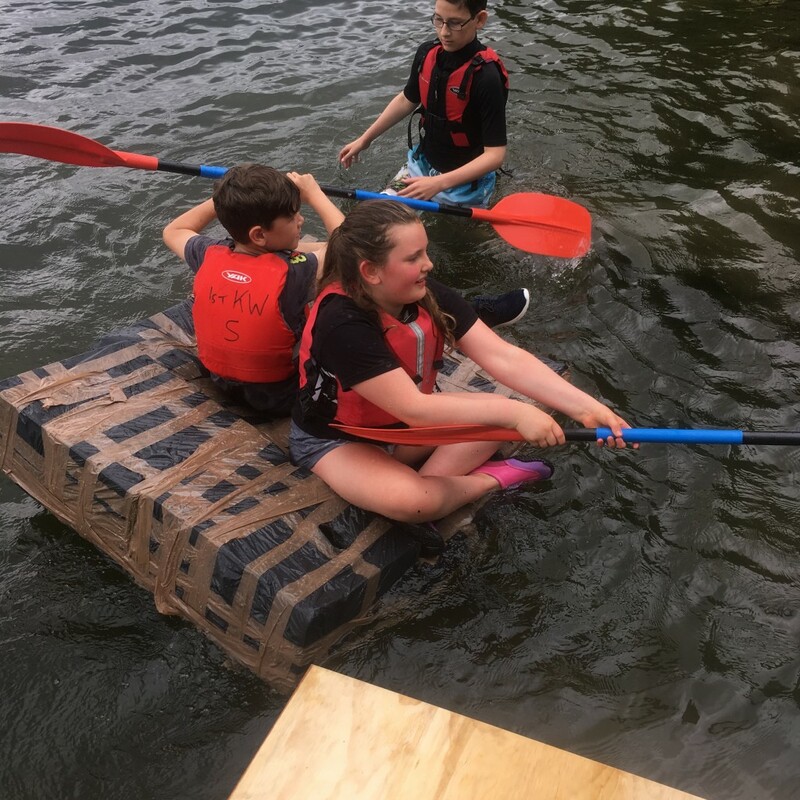 Bannana box boats – keep paddling! A new recruit – she has no choice in the matter! Some of our ex-scouts coming back to visit and sampling the jousting horse. Someone trust Kira to look after them on a boat! By the time you are 6 you will be a pro Charlotte! 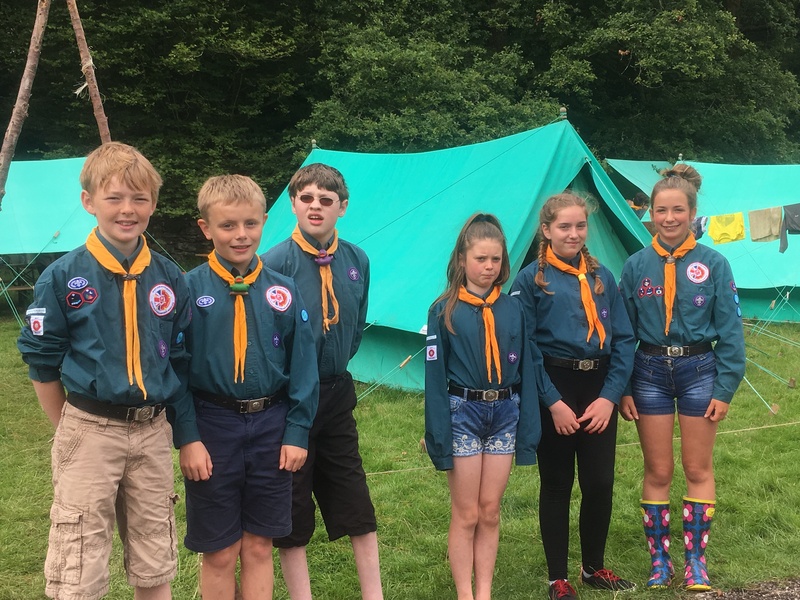 For those of you who don’t know, every morning we have ‘inspection’, which is where the leaders inspect the quality of the breakfast, cleanliness of the kitchen area, the amount of kit the kids have and the tidiness of their tents. 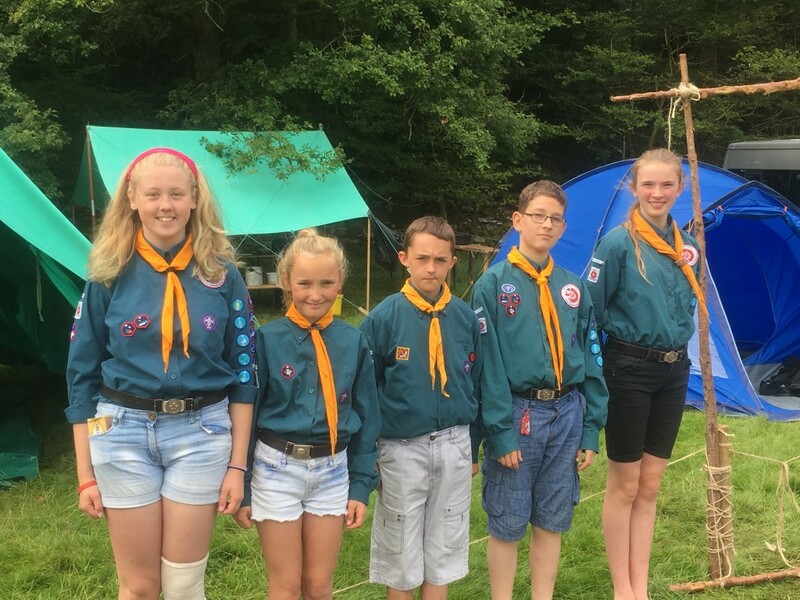 In their patrols (Teams) they gather points awarded from this and other activities to win the overall camp trophy. Here are a few pictures from inspection this morning. Today we are starting our busy programme of activities. 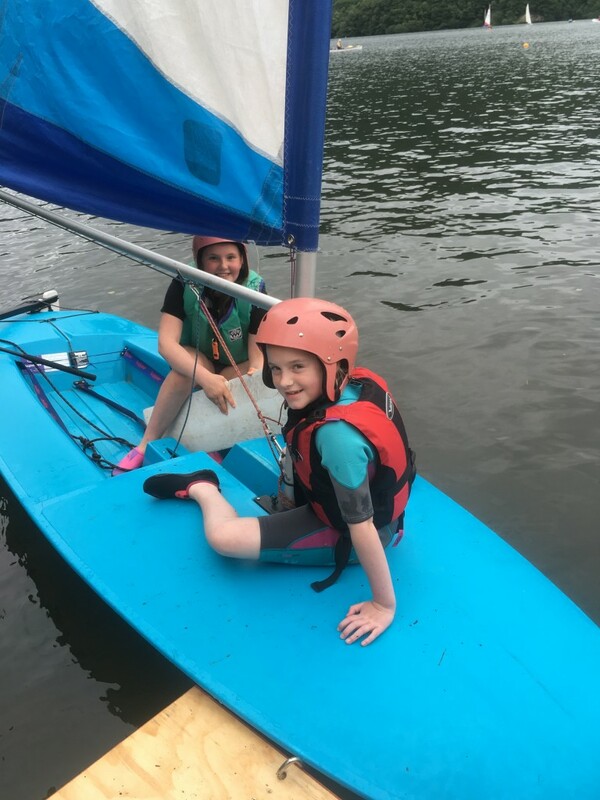 The younger ones are starting our morning with some sailing, and the older ones with some kayaking, and then they are swapping over so everyone gets a go playing some games and having a sail across the lake. Back from our activities, and I was very wet! I put my life in the kids hands as Mitchell, Will and Nick were in charge of driving the lifeboat! Nobody fell in – only on purpose! We have some great go-pro footage we would love to share if we manage to upload! Kira the musical is in full swing, I think there will be multiple acts and lots of backing tracks. She is really keeping our spirits high when the weather has been so unpredictable!! 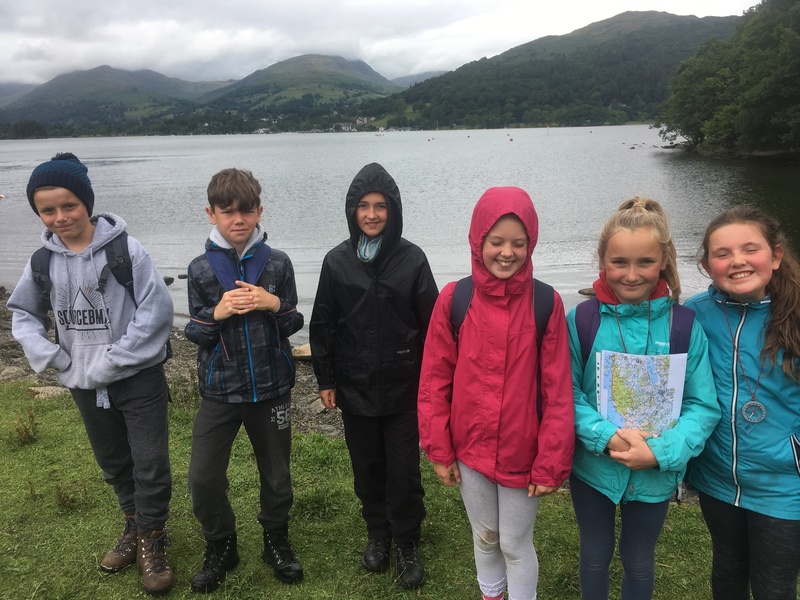 Today has been the start of our Expedition Challenge. 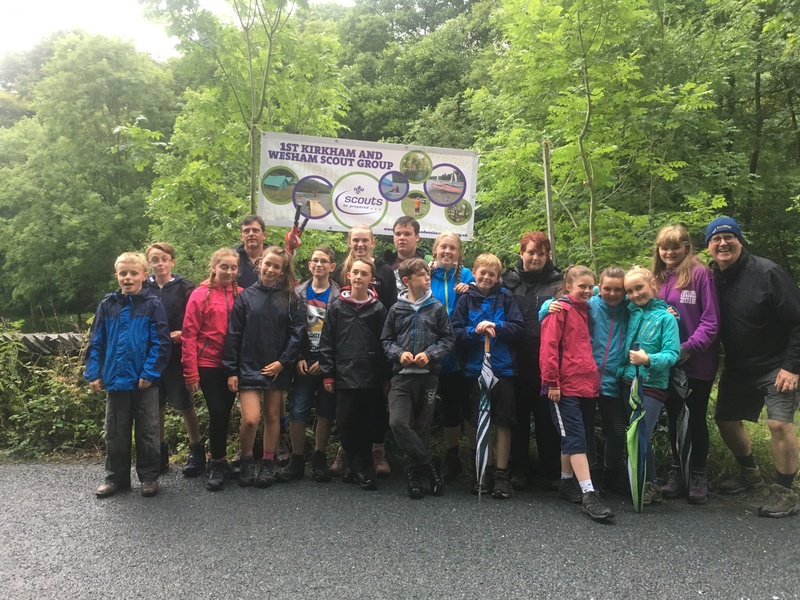 The older ten Scouts have gone out independently after planning their own routes and meals for a two day expedition, consisting of Canoeing, Sailing, Biking and Walking. Before they took off today, Canoeing and Biking over 14 miles, we took their mug shots ready to hand to the police (if they get lost! haha). 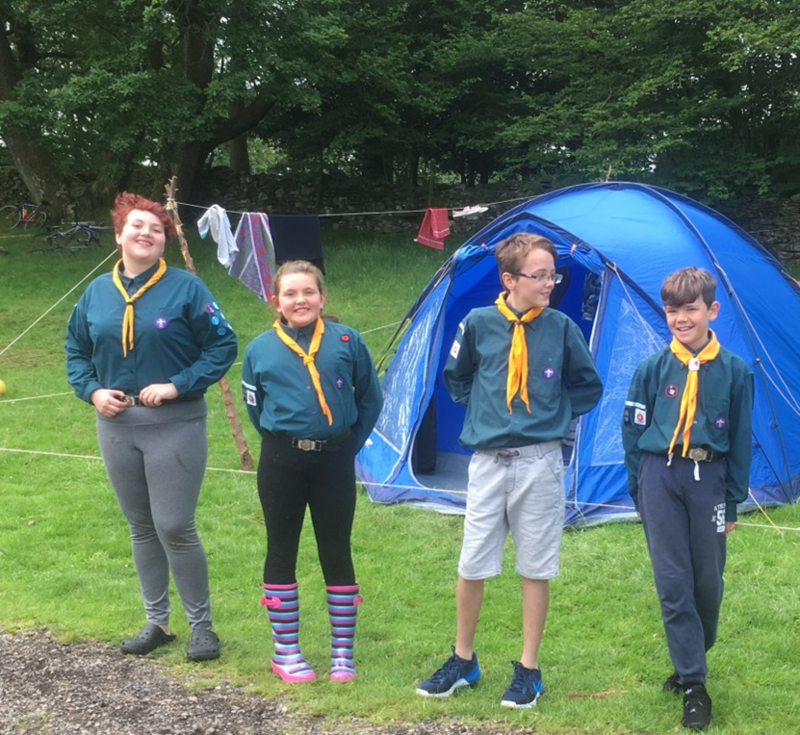 They will be cooking their own meal tonight whilst staying overnight at Great Tower Scout Campsite before continuing on with their challenge tomorrow. The younger ones have been on a lovely walk and after getting slightly damp (and attacked by ducks!) they met the older group for words (and songs) of encouragement mid-way through their challenge. They are now back at site for a quick dip in the lake before making their tea. 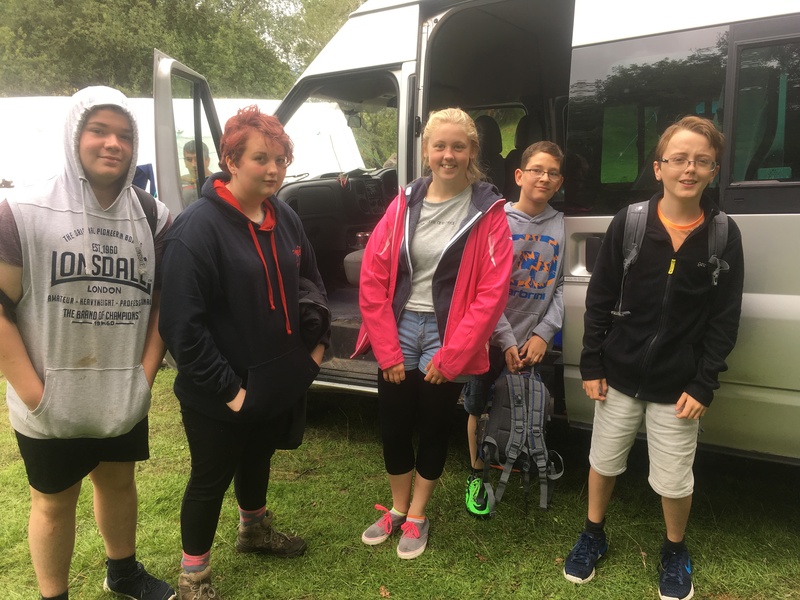 They will be learning the basic skills they require for camping to make a lovely meal of fish fingers and fresh mash potato. This will lead them onto cooking the meal for their patrol leaders tomorrow, passing even more of their badgework. 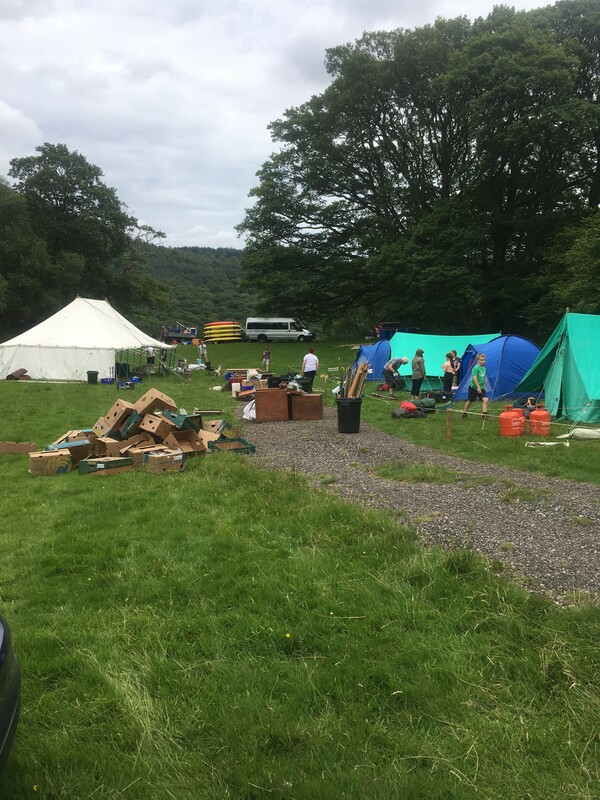 Tonight they will be putting up their own tents, sleeping in them, setting up a fire and getting a early night (hopefully) ready for activities tomorrow. Pictures will soon follow when the weather and signal improves! 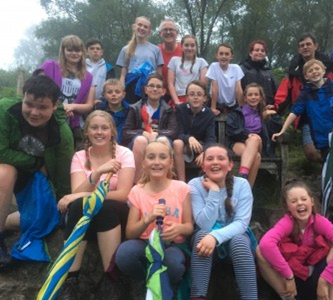 The younger group all smiles on their walk. 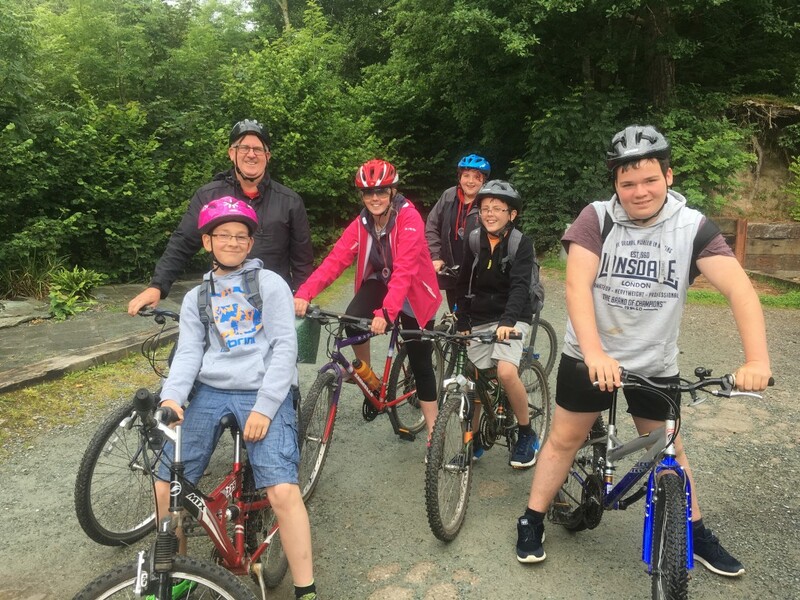 The first biking group about to set off. 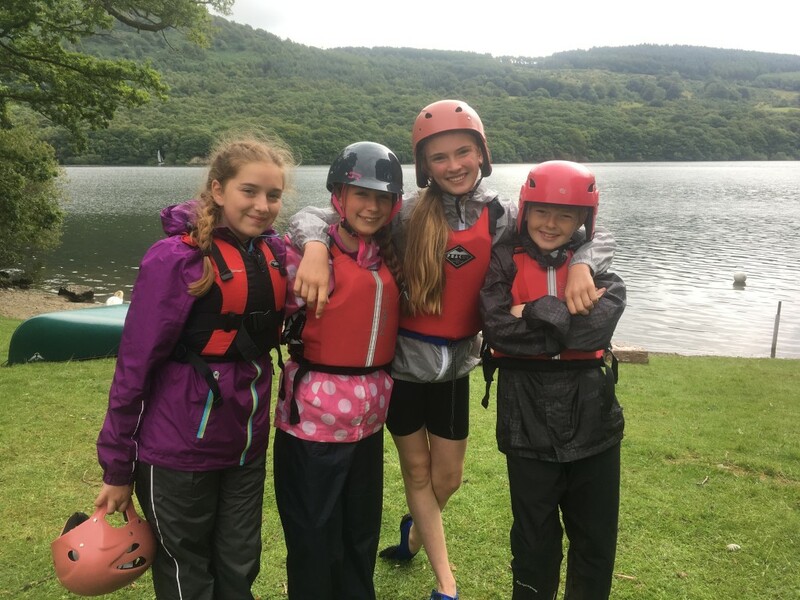 Older group about to set off kyacking. Tom loved his helmet so much he asked for his own picture! 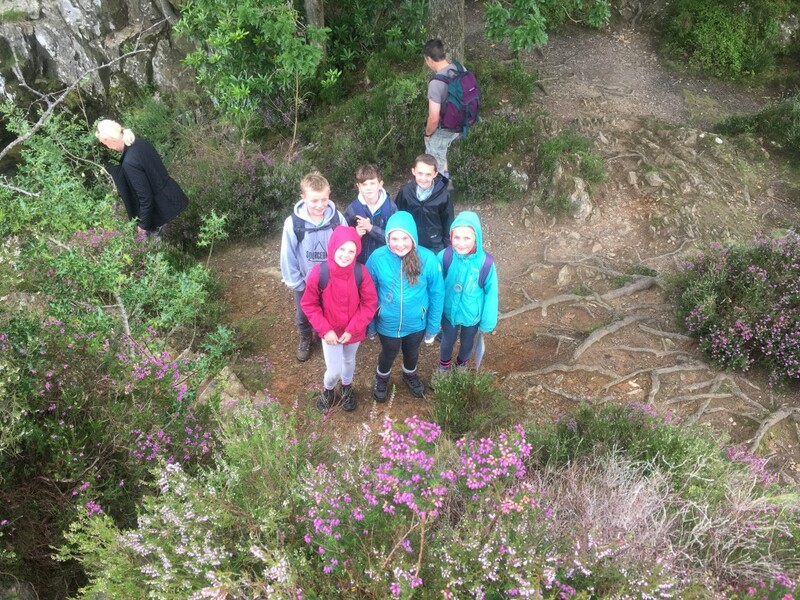 Another shot of the younger group on their walk. Not sure where all the pictures and messages went from Wednesday. I got an email from our website provider saying as we have had so many messages they feared we had been spammed! (Must be all the kisses!) And therefore they stopped the comments by and my posts! How rude!! 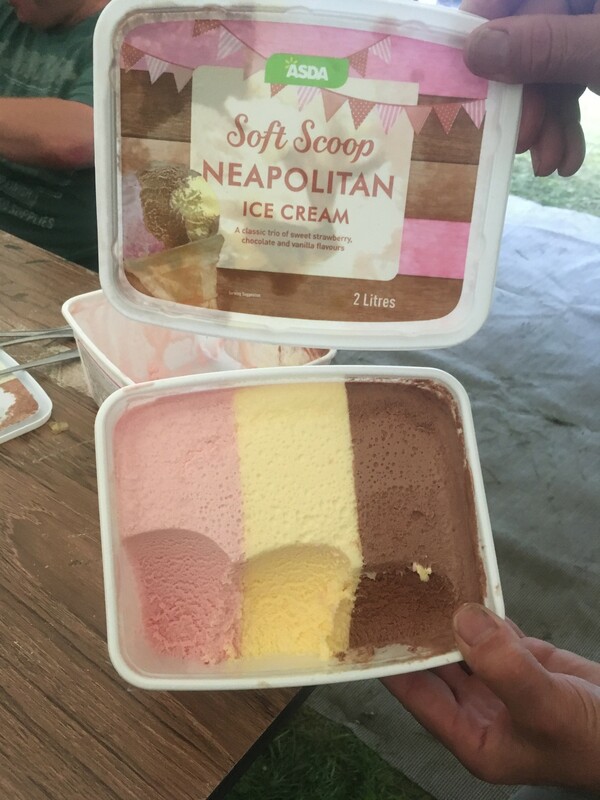 (I think it was Pauls fault as he didn’t like the ice cream photo!) All should be working again, and the posts will be redone over the weekend. We have all had a full day out today at Brockholes just outside Ambleside. 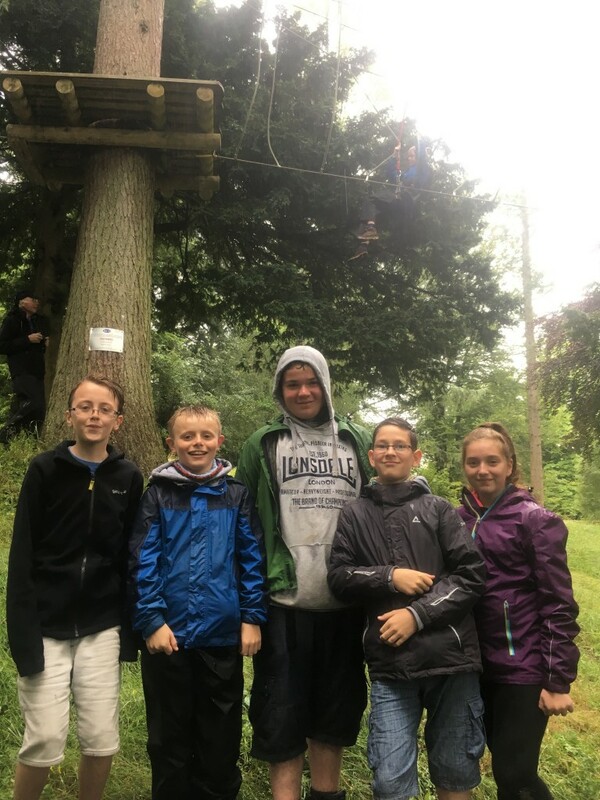 We all went orienteering, the younger ones went on a scavenger hunt and on the adventure playground and the older ones on the tree top challenge or mini golf. 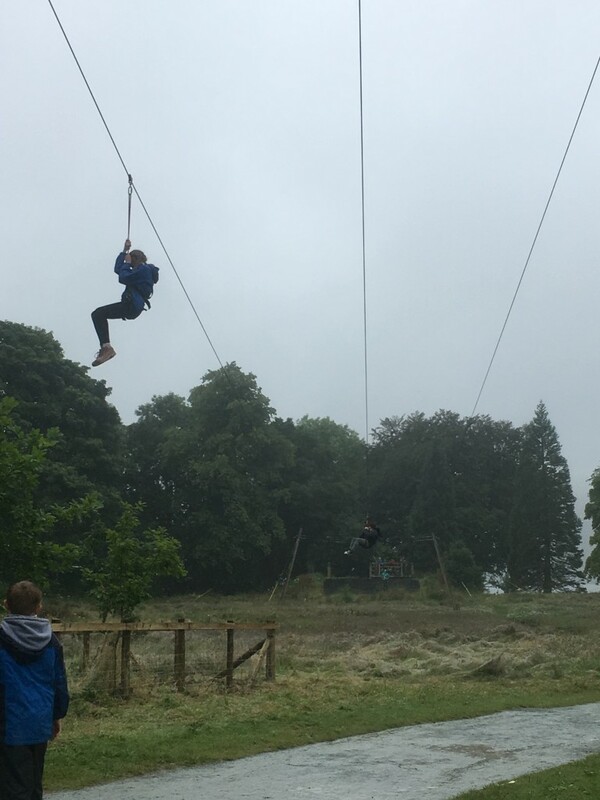 Everyone did SO well considering the damp surroundings. The Day has been topped off by a chippy tea (in the mess tent as horrible weather all day!) and then a final paddle in the with a few people choosing the kyack and others just play in the lake/sink the rafts. A big fire tonight as it has just about stopped raining before a busy morning tommorow of packing up. Kira is still singing – everyone is helping! Lots of tidy bedrooms it seens while we have been away. Any discovered chocolate you know where to send!! Early night tonight as a few of us are getting quiet and a little worn. We are praying for a dry night and morning ready for putting down the canvas tomorrow! Can’t believe its gone so fast! All ready for a chippy tea. I think thats sinking now girls! Harry got himself in a little bit of a pickle! Two scout race to the finish line! Thankyou for all your prayers! The sun has started to shine and dry some of our canvas up! This means so much less work tomorrow not having to put tents back up again back in Wesham. Wooo! However we will still have lots of stuff to put away so if you can come up and help it would be greatly appreciated. 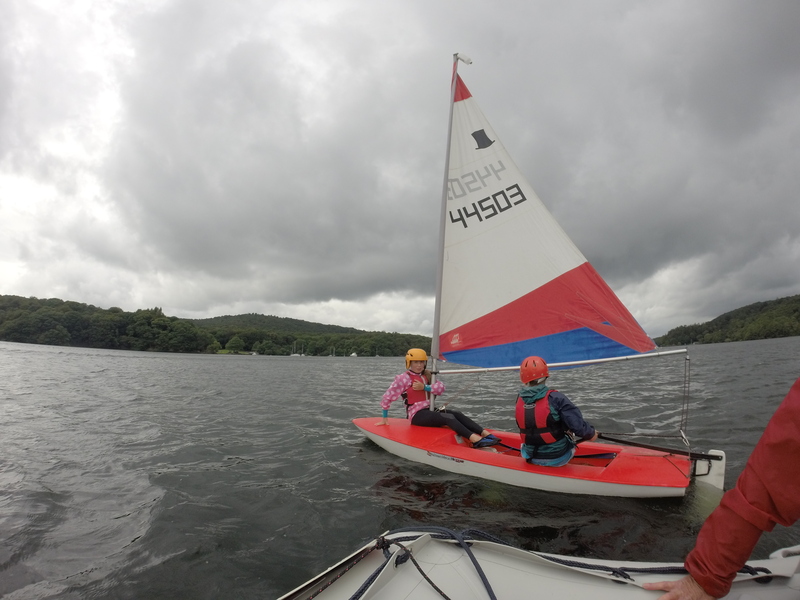 We have spent all morning packing away all out activities, ready for a lovely afternoon in Bowness, with Tea out. Can’t wait to see you all tommorow! Get your washing machines at the ready. Curry for tea Charlottes Mum sounds lovely -theres 24 of us, we shall be round at 6pm! haha! Add your comment here and we will read them out round the campfire. The more embarrassing the better! 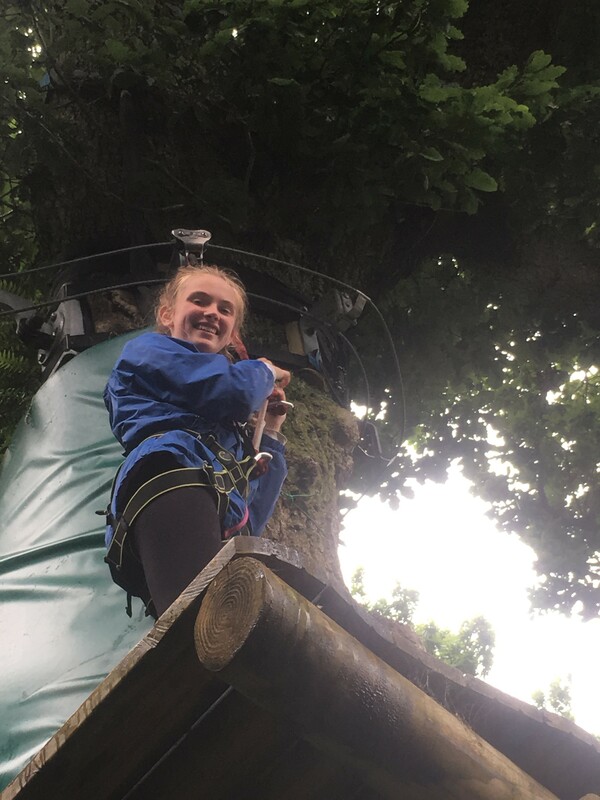 Looks like you are all having fun, we are just in from a trip to Lytham on the train…..
Had a great day, very envious of you, Anna wants to know when she can join scouts!!.. Remember you can take your Zoella top off sometime !! 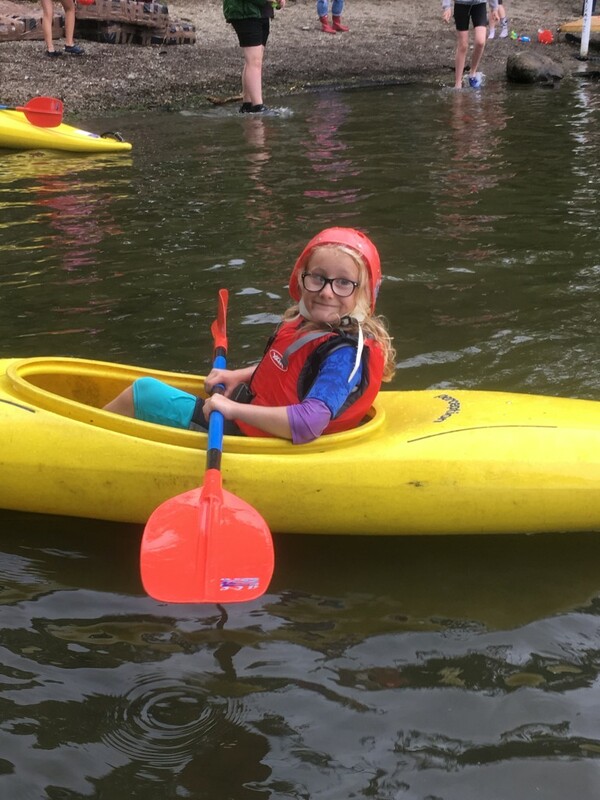 Hello Scouts, thank you all for a fab afternoon; Daisy has thoroughly enjoyed herself. We are missing you Jasmine and Kira, I can’t believe how quiet the house is! What an excellent sailor you are Kira. Jasmine you are also superb! Hope you have enjoyed your evening. I have got all your dirty washing in the washing machine! Sweet dreams babies!! enjoy tomorrow. Thank you for another fun filled family day. 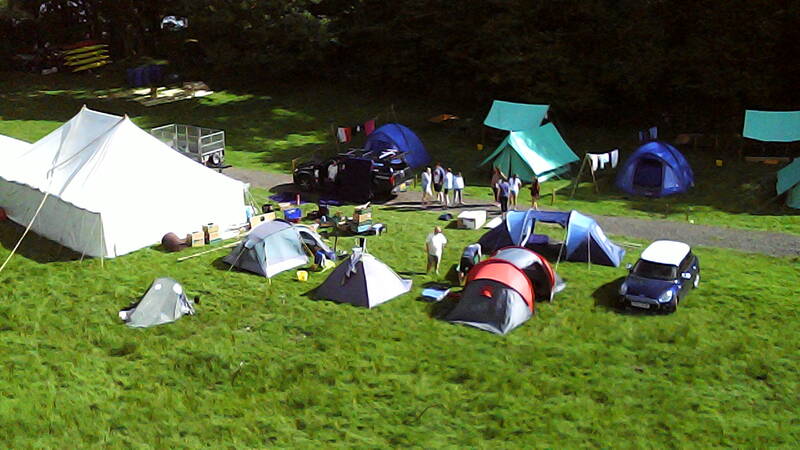 Thanks to all Scouts and Leaders for a brilliant Families Day. Harry, I left Benedict’s army waterbottle in a Morrison’s bag in the marquee. Could you try and rescue it and bring it home? Hello Jasmine and Kira, we have had a very quiet journey to Ireland – no singing or the cottles singing the musicals!!! Missing you, its not the same without you. Jasmine you have passed your clarinet exam – well done whoopwhoop!!! It’s very quiet here without you and I only have Tim to dry up! We love the photos and look forward to the next lot. Photos and updates are great. Keep having a great time, it will go so quick! Has Harry Parker lost all those combs I’m always giving him? Thank you so much for having me on Sunday and Monday, I had an amazing time with each and every one of you! 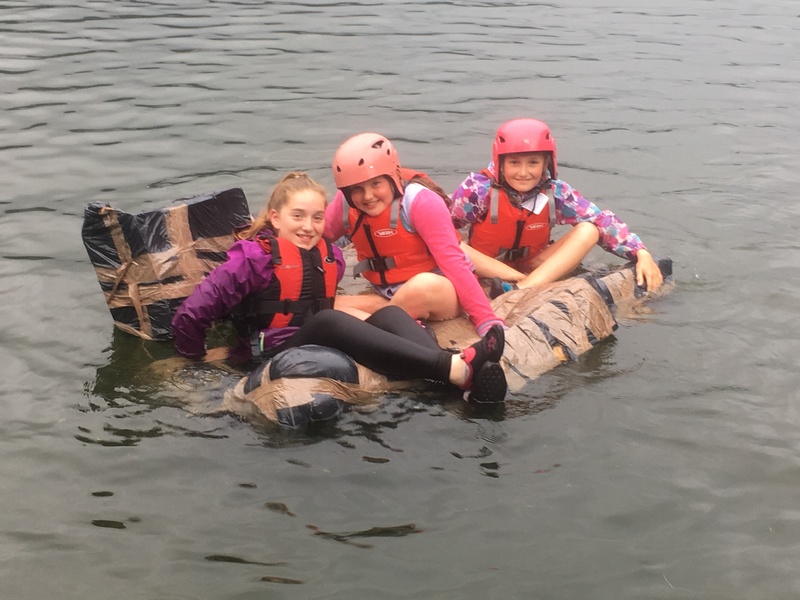 Hope the older ones are having a great time on their expedition and nobody has managed to fall in yet! So operation Sineads bedroom begins this evening. What will we find? I dread to think ! Lost keys might be a good thing Sinead!! Hope you have enjoyed day one of your expedition I know how much you were looking forward to it. Hello girlies, good luck Jasmine with your expedition. Hope you have had a good day Kira, try and get an early night sweetheart. We have been on the sightseeing bus today in Belfast and had a cheeky nandos for tea! Missing you both like crazy, its too quiet! The photos look fab and you look like you are having a fantastic time. Have fun tomorrow. Keep singing!! Love you loads and sweet dreams . Hia we have been packing to go to Dublin and we have set of!!!!! We hope u are enjoying it. Just stopped at a sevice station so Dad and Mum can get a coffee! We are enjoying it allot hope u are to!!! Hope you have all had a lovely day in the sunshine today and the intrepid expedition went well. Still picking blackberries and black currents so Charlotte you can earn a bit of pocket money as a fruit picker on your return!!! We are all (Tulip included) missing you. Hope the expedition went well Jasmine, did you manage to find a bike that was big enough for your long legs!? Are you still singing Kira? Dublin is good, going sightseeing today. Missing you both, its eerily quiet. Have fun and enjoy all the activities. Missing you loads, no idea where my post from yesterday went??? Operation Sineads bedroom is complete. Your missing keys have been discovered in yor school bag you noggin!! Did you not look in the most obvious place. Yesterday Kenyon spent the afternoon with Jasmin and Erin making musically’ Then had a lovely Lush bath. I bet you can’t wait for that. We are off to ikea tomorrow. Meatballs for lunch but I will bring you some home. I hope you have enjoyed whatever you were doing today and looking forward to seeing you on Saturday. The house is so quiet with just Kenyon. I wonder how long that will last once you are home before the arguing commences. How did you get a picture of Rosie looking so perky…not like her at all! We are all missing her horribly, especially Moriarty who has taken residence in front of my monitor. The bathroom has stayed tidy for 6 whole days, so I know EXACTLY who messes it up Been really dull here without her. 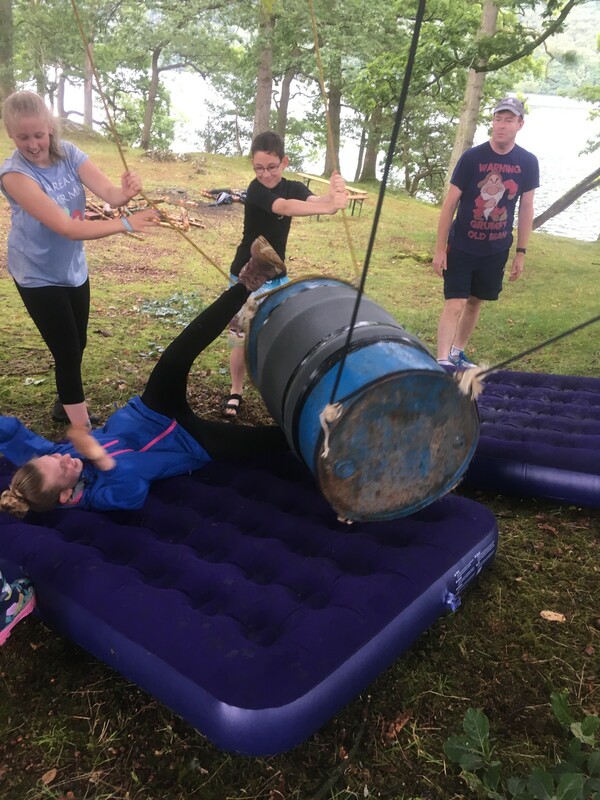 Have fun for the rest of camp! AAARRRGGGGHHHHHHHH Just looked under your bed Miss Rosie Jayne Still……How much junk?? I’m onto my 3rd black bin bag already……….AAARRRRGGGGGHHHHHHHHHHHHHHHHH!! It was supposed to be a big x, but didn’t work out right. Hope you’re having a good time Nick! We’re really missing you Now……………………. Is it wet and windy up there………………..inside Gaz’ s tent! Lots of love dad and co.
Weather’s looking good for Fri and Sat so hopefully the lorry won’t get stuck this year! Isn’t Fri night usually a chippy tea next to the lake? 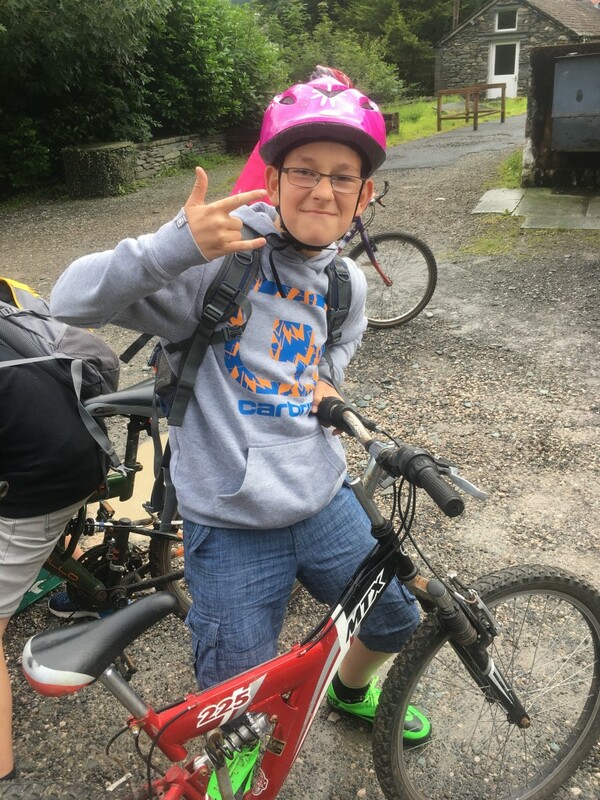 We all miss the youngest Bilsborough and we’re looking forward to having him home and hearing all about his adventures then Jack will be off 3 days later to the Poland jamboree so we’ll be unpacking and packing at the same time. Have loads of fun with the rest of your week! Eerily quiet here with only two children – the gang is definitely missing a Harry-boy. Bet chippy tea was brill after a wet day. Looking forward to giving you a big hug on Saturday. Kisses by the million, Love Mum and Dad. 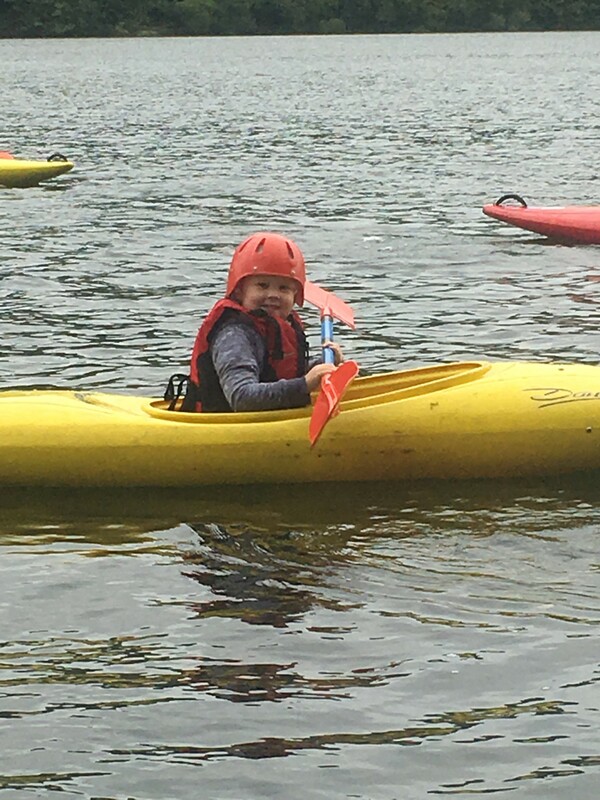 Hope the trip to Brockholes wasn’t too soggy!! Fingers crossed for a dry day tomorrow to dry everything out…. Maybe a curry on Saturday! Looking forward to seeing you tomorrow. The washing machine is ready and waiting. We got you some meatballs from Ikea today. I wanted KFC for tea tonight but Daddy said we had to wait for you yummy I cant wait. Just off to the beach now to take the dog for walk. Hope you all have had a fantastic week, despite the weather. Looking forward to hearing all about it tomorrow! Thanks so much for an amazing camp, they just get better every year. I’m already missing it and look forward to next year! Just wanted to say a massive thank you to all the leaders for an amazing last summer camp ! I enjoyed it more than ever, and I don’t want to leave now ! Love you guys, you’re like my family ! !